This space does double duty as a home office and den. Closet Works designed custom media center / entertainment unit including storage for everything needed in this versatile space. During the day the room is all business. The three bottom drawers include hanging file storage. 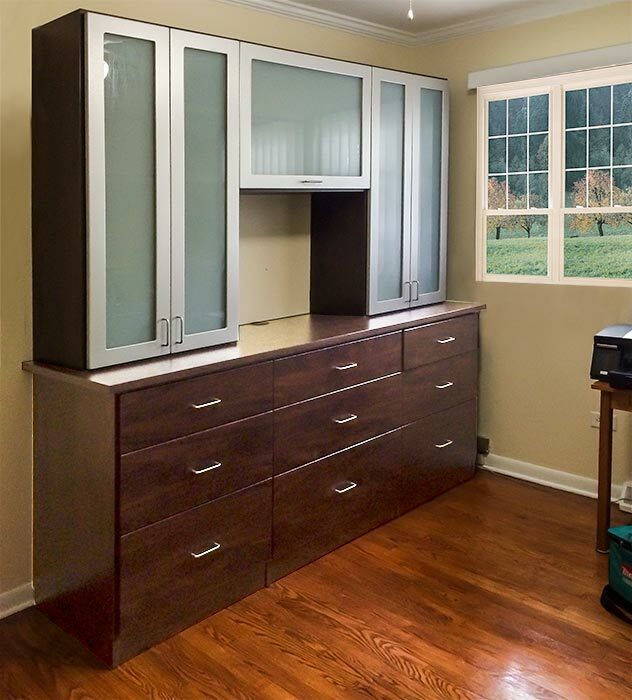 Additional storage for papers and office supplies is kept behind the cabinet doors and drawers. In the evening, the space becomes a cozy den with hidden storage for home entertainment materials and media center components like a television, audio and video system, games — even extra blankets and throws! Closet Works can design a place to store everything — making your rooms work harder for you by creating spaces that do double duty!